Pantomime, usually known as panto, is a type of musical comedy performed on stage. It is designed for the entertainment of entire family. John Rich who was an actor-manager of the Lincoln’s Inn Theatre (opened in1714) and The Theatre Royal, Covent Garden (opened in 1732), has been called the father of pantomime. John was the first who realised the potential of the Commedia characters. 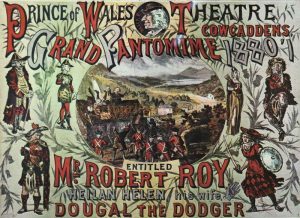 Pantomime started in England and though with time the frequency of performance has gone down, it is still performed all over the United Kingdom during Christmas season and new year. During Victorian era, the most important part of pantomime was the harlequinade (meaning that part of a pantomime in which the harlequin and clown play the principal parts). Pantomime is a theatrical performance, designed for family entertainment in the sixteenth century. It is a dramatic entertainment in which performers express meaning through gestures backed by music. These were based mostly on fairy tales and included topical jokes as well as slapstick comedy. In western culture, pantomime has a long theatrical history. Outside Europe, pantomime is used in reference to miming. 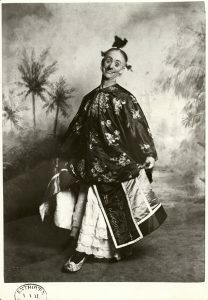 The early pantomimes were silent and normally, “dumb show” where artists performed through dancing and gestures. However, pantomimes became more topical and comic gradually and involved spectacular and extravagant theatrical effects. 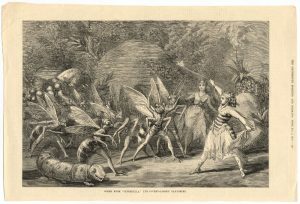 By 1800s the classical stories of pantomime were often replaced by stories adapted from fairy tales, folk tales, fables, nursery rhymes and classical English literature as well. By this time, the importance of harlequinade grew and it often used to be the longest and the most important part of the performance. 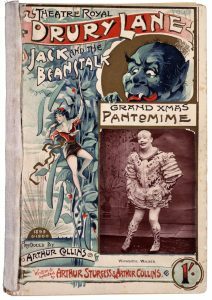 Pantomimes, during this time, had dual titles giving a humorous idea of both, the pantomime story and the harlequinade. After the first decade of 1800s, Joseph Grimaldi introduced a colourful agent of chaos, a new character, a clown was created who was as important for entertainment as was the Harlequin. Also, by that time, Harlequin began to be portrayed in more romantic and stylistic way. 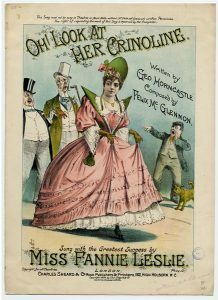 Grimaldi’s performance was significant and played an important role in expanding the importance of harlequinade and took it to a position where it dominated the pantomime entertainment. By the nineteenth century, children started going to theaters especially during Christmas and New Year. They liked the harlequinade chase scene, which was the most interesting part of the panto. It was fast paced and included slapstick comedy, dancing, and acrobatics. The plot used to be simple with star-crossed lovers, harlequin, and Columbine, running away from the foolish father of Columbine, Pantaloon, a servant named Clown, who slows down his master and a clumsy policeman. There is a servant in the father’s establishment. Just as the daughter tries to elope with her lover or is forced to marry the wealthy fop, the good fairy comes. The magical transformation scene takes place here. The harlequin had magical powers and he uses them to support the lovers. There used to be a chase scene in which lovers were caught and the magical wand of the harlequin used to get grasped by the Clown. The good fairy would then reappear. The father ultimately agreed to the marriage.